We're so excited about our brand new collection of top drilled cubic zirconia briolette beads! We've hand-picked a selection of beautiful colours so you can choose your favourites to match your style. 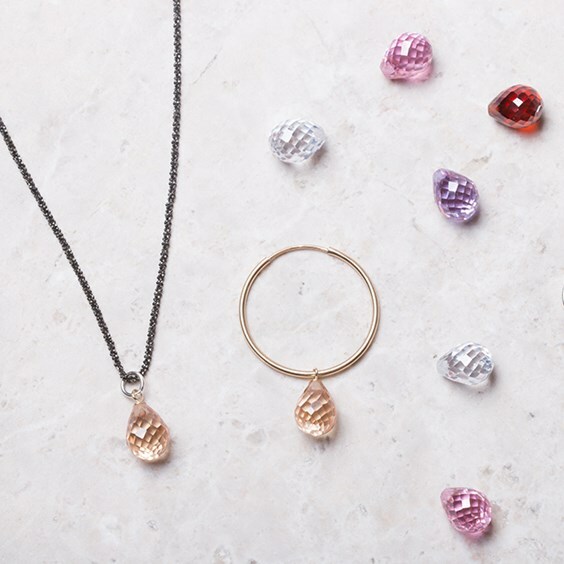 Each briolette is covered in facets, giving them an incredible sparkle in the light. Not only will they be great for everyday wear, they're perfect for special occasions too! 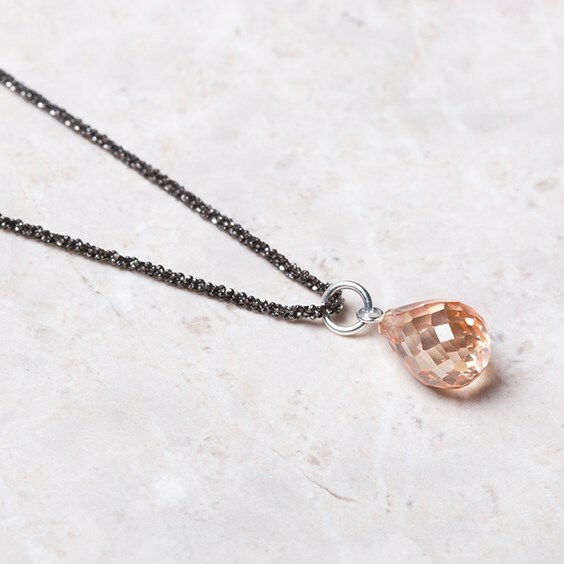 We have created a quick and easy design using our champagne coloured cubic zirconia briolette bead. Follow the step by step instructions by clicking the button below, and find all the supplies you need in a handy one-click shopping list. Use a peg with loop and cap with top drilled beads and half drilled beads. The cap creates a neat and professional finish, you can use a jump ring to attach these to pendants, earrings or as charms. 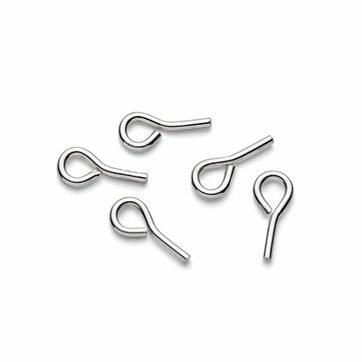 We also offer peg and loop without the cap, great to use with top drilled and half-drilled beads. Depending on what design and style you're after, you can choose from our selection which also includes plated and 9ct gold. 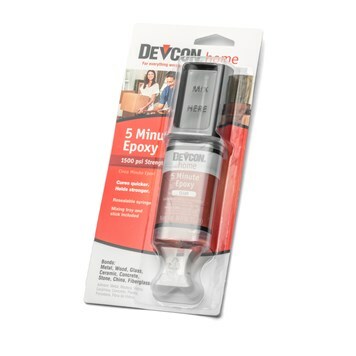 We always recommend Devcon Epoxy Glue for jewellery making. It's such a reliable glue, providing high quality and strong bonds. It sets clear and is great for filling in gaps - perfect for setting stones. You can even use it for household repairs! 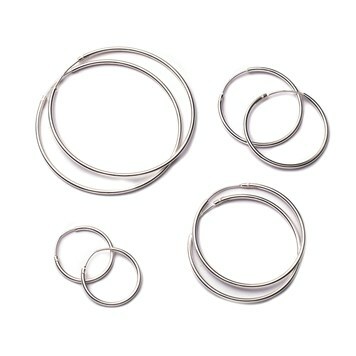 We recommend using 5mm jump rings with these pegs. 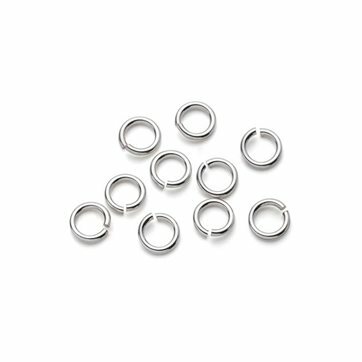 We have a range of jump rings to choose from including sterling silver, plated and 9ct gold. Find out how to open and close a jump ring by reading our advice page. If you want to make a necklace using our top drilled briolette beads, you will need to choose a chain to complete the look. 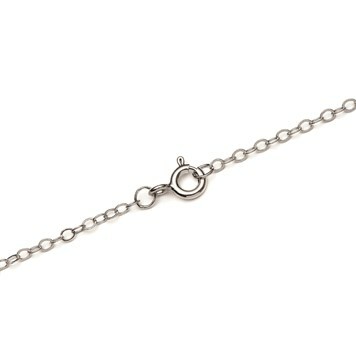 We have a range of beautiful and high-quality necklets to choose from, including sterling silver, plated and 9ct gold in a range of styles and lengths. 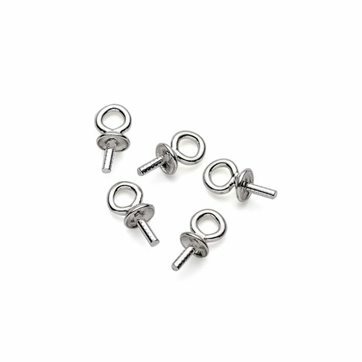 Another easy way to use this briolettes is to attach them to our sterling silver hoops! They come in a range of sizes to suit your style - simply glue in the peg to the bead, attach a jump ring and thread of your choice of chain. Watch The Briolettes In Action! Explore our range of cubic zirconia briolette beads in a rainbow of beautiful colours and get jewellery making!